From Gund. Ugh. This lazy egg would much rather be lying down, but so it goes. 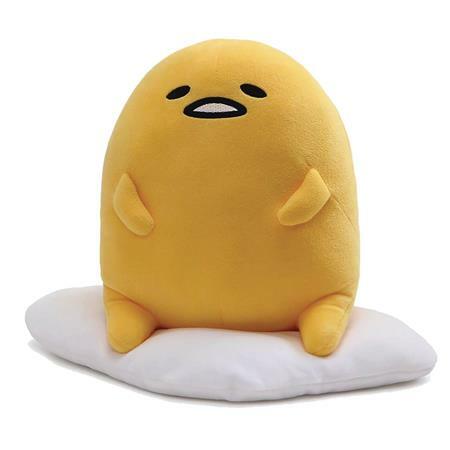 Gudetama plush is super soft and easy to squish (go on, Gudetama doesn't care). Plush material is surface washable.